You have a great idea to improve company efficiency. Now, how do you get the budget you need to realize this vision? 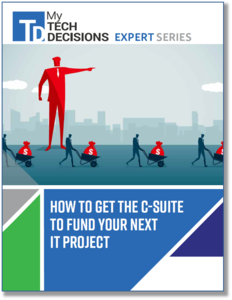 Many factors are involved in defining a new IT project concept, getting support from colleagues and, ultimately, securing funding from executives. Download our guide today so you can make your vision a reality.